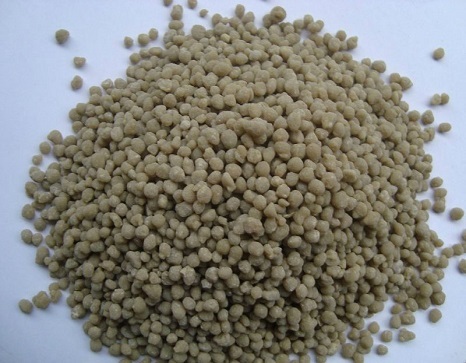 Diammonium phosphate in short DAP is used as a fertilizer. When applied as plant food, it temporarily increases the soil pH, but over a long term the treated ground becomes more acidic than before upon nitrification of the ammonium. It is incompatible with alkaline chemicals because its ammonium ion is more likely to convert to ammonia in a high-pH environment. The average pH in solution is 7.5–8. Its chemical composition is (NH4)2HPO4. IUPAC name diammonium hydrogen phosphate is one of a series of water-soluble ammonium phosphate salts that can be produced when ammonia reacts with phosphoric acid. Solid diammonium phosphate shows a dissociation pressure of ammonia as given by the following expression and equation. DAP is also used as a yeast nutrient in winemaking and brewing mead; as an additive in some brands of cigarettes purportedly as a nicotine enhancer; to prevent afterglow in matches, in purifying sugar; as a Flux for soldering tin, copper, zinc and brass; and to control precipitation of alkali-soluble and acid-insoluble colloidal dyes on wool nutrients include P2O5 (46%) and ammoniacal nitrogen (18%). DAP provides the correct proportion of phosphate and nitrogen needed for farming wheat, barley and vegetables. It is also applied in the early stage of fruit orchard fertilization.